The Best Roofing blogs from thousands of top Roofing blogs in our index using search and social metrics. Data will be refreshed once a week. 2.9 London ECO-METAL Manufacturing Inc.
2.94 Integrity Homes & Construction Inc.
Roofing newsletter is a comprehensive summary of the day's most important blog posts and news articles from the best Roofing websites on the web, and delivered to your email inbox each morning. To subscribe, simply provide us with your email address. Piqua, Ohio About Blog Get the latest new and information on metal roofing, plus home maintenance tips and tricks. See beautiful metal roofing photos, get product details, and find a contractor. We're made in USA and install metal roofs on homes across the globe. Facebook fans 11,788. Twitter followers 1,001. About Blog Stortz brings you the latest in slate & sheet metal roofing news from across the world. Keep up to date with the industry and find your roofing tools here. Facebook fans 1,196. Twitter followers n/a. Parsippany, NJ About Blog Founded in 1886, GAF has grown to become North America’s largest manufacturer of residential roofing and commercial roofing. The blog provides advice and information for roofing professionals. Facebook fans 283,502. Twitter followers 15,891. North Carolina, USA About Blog With over 100 years of experience, Baker Roofing Company has grown to become one of the nation's largest roofing contractors. Find useful roof repair and replacement information in the blog. Facebook fans 2,368. Twitter followers 3,468. Houston, TX About Blog PHP is the leading innovator in the roof support system industry, setting the status quo, pioneering change, and solving your every rooftop challenge. For the latest roofing tips and tricks check out the PHP blog. Facebook fans 38. Twitter followers 193. About Blog Stay up to date on the latest developments in the roofing industry with the FiberTite blog. Facebook fans 142. Twitter followers 232. MI, OH, KY, TN About Blog Mr. Roof was the result of a dream to start a roofing company with the highest possible standards in the industry. Mr. Roof is a forerunner of roofing technology. Read the blog to find the best ideas for your home or business. Facebook fans 339. Twitter followers 9. Lenexa, KS About Blog DaVinci Roofscapes is a leading provider of authentic-looking and durable synthetic slate and shake tile roofing used for residential and commercial purpose. Visit the blog to find useful information. Facebook fans 4,141. Twitter followers 932. 9. London ECO-METAL Manufacturing Inc.
London, Ontario About Blog London Eco-Roof is a family owned and operated industry leader in the manufacturing of quality steel and aluminium roofing for the environmentally conscious consumer. Facebook fans 329. Twitter followers 448. Leicestershire, UK About Blog SIG Design & Technology is part of SIG Roofing, a division of SIG plc, one of Europe's leading suppliers of products to the construction industry and an FTSE 250 quoted company. Their roofing design blog provides informative, impartial advice on designing flat roofs, green roofs, single ply and zinc roofs. Facebook fans n/a. Twitter followers 4,731. About Blog Timberline Roofing & Contracting specializes in the installation, maintenance and repair of residential and commercial roofing and siding. Read the blog to find useful information. Youngstown, OH About Blog Discover time and cost-saving tips by keeping up with the latest roofing news and information. Facebook fans 773. Twitter followers 387. Michigan About Blog The mission is ensuring that you make the best possible roofing choice for your home. Read the blog to learn more about roofing installation and maintenance. Facebook fans 1,908. Twitter followers 324. Natiowide About Blog Choice Roof Contractor Group™ is a nationwide group of professional roof contractors who provide commercial roofing services. Dedicated to commercial roof contractors, this blog covers a broad range of topics and subjects related to roofing and construction. Facebook fans 991. Twitter followers 174. Colorado & Texas About Blog Integrity Roofing and Painting offers insights into best practices in roof maintenance, installation and roof repairs. Facebook fans 512. Twitter followers 41. Frisco, TX About Blog Peak Roofing Systems is a locally owned and operated residential/commercial roofing company, providing everything from small repairs to complete roofing systems. Read the blog to find useful roof repair ideas. Facebook fans 568. Twitter followers 116. Navasota, TX About Blog Schulte Roofing is a family-owned residential and commercial roofing company serving all areas of central and southeast Texas since 1994. Visit the blog to find more information. Facebook fans 888. Twitter followers 672. Brisbane Australia About Blog Roo Roofing has over 23 years of experience in providing Specialist Roofing Services to Brisbane and surrounds. This is a blog for all your Roof Restoration and Replacement Needs. Facebook fans 263. Twitter followers 1,427. New England About Blog Classic Metal Roofs, LLC is a highly experienced New England metal roofing contractor serving all of Southern New England. Visit the blog to find information on metal roofing installation and more. Facebook fans 9,221. Twitter followers 2,258. San Pedro, CA About Blog Chandler's Roofing has been recognized both regionally and nationally as the premier South. Stay up to date with the information on roofing by reading the blog. Facebook fans 10,058. Twitter followers 1,022. Colorado, Texas, Indiana About Blog ASAP Roofing™ is a roof repair company specializing in insurance restoration. Read the blog to find tips about roof and home by roofing specialists. Facebook fans 1,314. Twitter followers 4,408. Baldwin Park, CA About Blog Since 1991, Highland Commercial Roofing has provided exceptional service and asset protection to major corporations and building owners throughout the Southwest. Read the blog to find articles on commercial roofing. Toronto, Ontario About Blog Professional Roofers Toronto is the source of all your roofing solutions. The blog is a great resource for roofing tips & information. Facebook fans 250. Twitter followers 221. 256 Wildcat rd. Toronto,M3J2N5 About Blog Integrity Roofers is a licensed, certified and insured roofing company serving residential and commercial property owners in Toronto and the GTA. The blog provides useful knowledge for all your roofing needs. Facebook fans 868. Twitter followers 546. Wilmington About Blog Read the blog to find useful articles on roofing and siding. Facebook fans 5,421. Twitter followers 193. Texas About Blog Remedy Roofing provides complete roofing services for residential and commercial projects throughout the state of Texas. Check out the blog for the latest updates about roofing. Facebook fans 1,485. Twitter followers 899. Washington State About Blog American Building & Roofing in Washington (ABR), began in 1982 and is a 2nd generation family-owned, full-service roofing and building company. Facebook fans 207. Twitter followers 572. 639 1st Court North Birmingham About Blog Read the blog to find information for your commercial and residential roofing needs. Facebook fans 182. Twitter followers 49. United States About Blog Explore the blog to find articles on roofing, siding, windows and doors.The blog is a source for all your roofing needs. Facebook fans 278. Twitter followers 131. About Blog About Us South shore MA has been in the roofing industry for over two decades. A fully licensed and insured company, South Shore Roofing is the company to call when you need a reliable, honest and trustworthy contractor working on your home. South Shore performs commercial and residential roofing projects from the Boston area down to the South Shore. About Blog Victors Roofing is a small, experienced family roofing business. Visit the blog for more information on roofing, gutters, insulation and home improvement. Facebook fans 640. Twitter followers 58. About Blog Royalty Roofing specializes in roofing projects for commercial, industrial and institutional facilities. Longwood, Florida 32750 About Blog The Vantage Point, to help educate you about your roof, home, and roofing news. Visit the blog to see all that's new. About Blog In 1972, Bob Fivecoat founded Fivecoat Roofing Inc. in Banks, Oregon. David started his roofing career under the tutelage of Mr. Fivecoat in 1982. Follow David Bromagem as he blogs about Fivecoat Roofing and everything roofing related. About Blog Chaffee Industrial Roofing is a third generation, family owned commercial roofing contractor. Read the blog to find articles on industrial roofing. Spokane, WA About Blog Spokane Roofing Company is Spokane’s premier year-round commercial and residential roofing contractor. Explore the blog to get information on roofing for all your commercial and residential needs. Facebook fans 1,017. Twitter followers 128. About Blog Stay up to date with the roofing industry information and news. Visit the blog to learn more. Grand Haven, MI About Blog Stay up to day with the latest Werner & Sons roofing news and projects as well as find tips on how to maintain and keep your roof looking great. Facebook fans 268. Twitter followers 413. About Blog All Weather Tite is a fully licensed and insured, residential and commercial roofing contractor that installs and repairs roofing, siding and windows. We help you preserve the investment in your home by making the exterior of your house a protective shield from New England’s harsh weather. Facebook fans 196. Twitter followers n/a. About Blog Sean Napolitano is the owner and founder of A1 Roofing & Construction, and originally founded the company in 2007. Sean built his business with an extensive background in commercial and residential roofing in RI and Southeastern MA. Facebook fans 687. Twitter followers n/a. About Blog A-Best Roofing started with Jim Lane's dream of being exceptional. In 1988, Jim started the roofing company in Tulsa, OK and the surrounding area with the intention of taking a completely new approach. Read the blog to find useful roof ideas and information. Dallas/Ft. Worth, Texas About Blog Paradigm Roofing, headquartered in McKinney, Texas, was founded by Tony Hall, a licensed professional with more than 30 years of roofing and construction experience. Read the residential and commercial roofing blog to find useful tips on roofing. Facebook fans 1,401. Twitter followers 592. Serving GA, AL, TN, FL, SC, NC About Blog Midian Roofing is a privately owned and operated company established by T.K. Hamilton in 2000. T.K. has over 25 years experience in the roofing industry and is well respected in the community. Facebook fans 520. Twitter followers 1,506. About Blog Established in 1985, and originally located on Redcliffe Peninsula, Pantex Roofing Systems commenced producing roll-formed products initially for garage manufacturers. The blog features useful articles for all your roofing needs. Facebook fans 778. Twitter followers n/a. Southfield, Michigan About Blog American Standard Roofing is the best choice for all of your commercial and residential roofing needs. Read some of are blog articles to further learn about the roofing industry. Facebook fans 691. Twitter followers 180. Mooresville, NC About Blog Race City Roofing is Lake Norman’s #1 roofing company. Read the blog to find information on shingle repair and replacement, metal roofing, flat roofing, roof coatings, new roof designs, hail or wind damage roofing repair, and more. Facebook fans 520. Twitter followers 2,487. About Blog Consolidated Roofing Systems are the experienced roofers to assist in residential roofing, roof repair and attic insulation projects. The provides up to date home improvement tips and ideas. Facebook fans 924. Twitter followers n/a. About Blog Since 1978, A1 Siding & Roofing has provided quality residential exterior renovation, repair and maintenance to homeowners in the Bedford and Manchester, NH areas. Read the blog to find articles on siding and roofing for residential and commercial purposes. Westminster, MD About Blog Explore the blog to find articles on roofing construction and home improvement. Facebook fans 1,815. Twitter followers 428. 3551 White Oak London, Ontario About Blog Green Metal Roofing - Ontario's Best and Top German Quality Roofing Systems for residential and commercial projects. Facebook fans 215. Twitter followers 5. About Blog Read the blog to find articles on colorbond roofing, roof replacements, new roofs, roof extensions, commercial roofing and roof tiling. About Blog American Roofing and Sheet Metal is dedicated to delivering exceptional customer service and quality roof replacement and roof repair across Tampa Bay. Explore the blog to find a vast array of articles on roofing. Facebook fans 240. Twitter followers 6. About Blog Rebuild Texas is a top-notch roofing repair contractor providing residential and commercial roofing repairs for clients in Plano, Lewisville and the surrounding Dallas area. Read the blog to find more about roof replacements, maintenance and help. Facebook fans 1,702. Twitter followers 17. Vancouver, British Columbia About Blog From humble beginnings back in 1984, Design Roofing & Sheet Metal Ltd. has rapidly grown into an industry leading Commercial Roofing company. Read more about commercial and industrial roof installation, roof maintenance and repairs. Facebook fans 72. Twitter followers 1,425. About Blog Residential Roofing is a family-owned Columbia residential and commercial roofing company founded in 1982. Stay connected with our specialized roofing blog for the latest updates. Burnsville, MN About Blog A-Plus Roofing offers various solutions with exceptional quality products that can stand up to the ever-changing conditions. The blog features articles on flat roof construction and repair. Facebook fans 18. Twitter followers 399. Monroeville, OH About Blog The blog features posts on latest tips and design ideas on roofing, home remodels, commercial and residential construction. Facebook fans 903. Twitter followers 3. 4260 Vanguard Rd Richmond, BC About Blog Stay up to date with the latest information on roofing. Visit the blog to know more. Facebook fans 63. Twitter followers 1. About Blog Roof Scoop is the official blog of the National Roofing Contractors Association (NRCA), publishing timely news and commentary of interest to the roofing industry. About Blog The blog is to educate people about the various aspects of roofing and roof replacement/repair for commercial and residential purpose. About Blog Over a decade ago, Paul “PJ” Nicholson founded PJ’s Roofing, Inc. PJsRoofing specializes in roof replacement and repair. Read the blog to find helpful information. Facebook fans 204. Twitter followers 5. About Blog Follow this blog to learn more about Roofing and siding recommendations, trends and insights from your local Elk River experts, Northface Construction. Facebook fans 1,067. Twitter followers n/a. About Blog Larry L. Vaught Roofing, Inc. is the local, family owned business that Kansas City area homeowners have counted on for 50 years to provide outstanding service and craftsmanship! In the blog you will find articles dedicated to roofing services and repair. Greenville, SC About Blog We have all your roof coating needs covered.From residential flat roofs and metal, to commercial and industrial BUR,TPO EDPM. Facebook fans 3,791. Twitter followers 12. Redmond, WA About Blog We founded our company, B & J Roofing, in 1976 with a commitment to providing the highest-quality materials, services, and customer care. Visit the blog to find articles on roof replacement, repair, installation, maintenance and inspections. Facebook fans 42. Twitter followers n/a. About Blog A local Indianapolis roofing company that handles residential and commercial re-roofs, roof replacement and roof repairs. Facebook fans 261. Twitter followers n/a. Southern Ontario About Blog From DIY care to easy-to-see warning signs, we provide roof-related tips for homeowners. Read the blog to find more information. Facebook fans 200. Twitter followers 257. Exeter About Blog Stay up to date with the roofing industry news. Read the blog to learn more. Oro-Medonte, Ontario About Blog Read the blog to find useful roofing articles by professional roofers. Facebook fans 119. Twitter followers 2. St Louis, MO About Blog Jewett Roofing Company is a family business that has been serving the commercial roofing market since 1984. Jewett Roofing Company specializes in flat, low-slope, and metal retrofit applications on all sizes and types of commercial properties. From major manufacturing facilities to small town businesses, we have you covered. Facebook fans 117. Twitter followers 7. Twinsburg, Ohio About Blog Campopiano Roofing, Inc. is your one-source solution for any residential or commercial roofing need. Read Campopiano Roofing's blog on roofing, windows, gutters and more. Facebook fans 1,541. Twitter followers 644. Downriver, Michigan About Blog Downriver Roofers is a full-service licensed builder that specializes in installing, repairing, and maintaining residential and commercial roofs. The blog contains articles that will help you solve all your roofing problems. Facebook fans 29. Twitter followers 25. About Blog Horch Roofing provides the best service in Maine roofing, from the very beginning of the project until the very end. Horch Roofing is one of the only roofing specialists in the area committed to green practices. The blog provides you with an array of articles for all your roofing needs. Facebook fans 1,780. Twitter followers n/a. 2723 South State St., Ste 150 About Blog A2roofing is a full-service residential and commercial roofing company in Ann Arbor, Michigan specializing in roof repair and replacement. Discover useful articles in the blog. Facebook fans 95. Twitter followers 5. Bellevue, WA About Blog Stay up to date with the latest residential and commercial roofing information. Houston / Dallas / San Antonio About Blog Elite Roofing Solutions is a full-service commercial and residential roofing company serving all of Houston, Dallas and Austin, Texas. Visit the blog to find more information on roofing. Facebook fans 1,782. Twitter followers 24,814. Charlotte, North Carolina About Blog The Advanced Roofing and Exteriors blog has information you need to know about roofing and exterior renovations. Learn more by reading the blog. Facebook fans 179. Twitter followers 2,544. Westerville, OH About Blog Muth & Co. Roofing is the leader among local roofing contractors. Read the blog to find more knowledge on roofing. Facebook fans 2,497. Twitter followers 69. Milford, NH About Blog Adam V. Roofing has over 50 years of combined experience in residential roofing. Discover useful articles on roofing. Facebook fans 2,286. Twitter followers 41. Cincinnati, Ohio About Blog Sterling Exteriors has been a premier choice for roofing in Cincinnati OH for over 15 years. Discover useful blogs on roofing to transform your dreams into reality. Facebook fans 810. Twitter followers 14. Aledo, Texas About Blog First Texas Roofing is expert exterior roofing replacement and roof repair company. Get updates, roofing ideas, roof repair tips, and industry news from our Ft. Worth Roofing Experts. Facebook fans 641. Twitter followers 114. About Blog Visit the blog to stay up to date with the latest news on roofing industry. Facebook fans 657. Twitter followers n/a. About Blog Air Roofing has over 120 years experience as Roofing Contractors in Perth, working in the commercial, industrial and residential roofing and building maintenance sectors. The blog features useful information for all your roofing needs. Facebook fans 515. Twitter followers n/a. Edmond, OK About Blog Land Roofing Enterprises in Edmond OK provides roofing repair, roofing installation, roofing services as a top roofing contractor. Read the blog to find roofing and home improvement advice. Facebook fans 505. Twitter followers n/a. California, USA About Blog A resource of information related to the maintenance and repair of roofs and gutters on residential and commercial properties. Facebook fans 433. Twitter followers 168. Atlanta, GA About Blog The Cool Roofing Company is a one-stop-shop for all of your commercial, residential, and multi-family re-roofing, roof repairs, or roof maintenance needs. Facebook fans 437. Twitter followers 151. Longwood, FL About Blog Winter Springs Roofing & Repair remains one of the last “genuine owner operated” specialized roofing repair businesses in Central Florida. Find more about roofing repair and maintenance in the blog. Facebook fans 408. Twitter followers 2. Minnesota, USA About Blog Schmidt Roofing is a family owned, Minnesota-based company that specializes in residential and commercial exteriors. Read the blog to find posts on windows, roof, siding, trends, tips & advice. Facebook fans 354. Twitter followers 24. About Blog Brandon and Ashley are the founders of Memphis roofing company Pinnacle Roofing & Restoration. Read the blog to find articles on commercial and residential roofing solutions . Facebook fans 319. Twitter followers n/a. Hollywood, FL About Blog Check out this page to read the latest roofing blogs by J & K Roofing, Inc.to keep up with the roofing industry and the latest news updates. Facebook fans 302. Twitter followers 3. Winnipeg Mb About Blog With more than a decade of trusted service, Roofco is the leading expert in residential and commercial roofing in Winnipeg with an A customer satisfaction rating from the Better Business Bureau. The blog contains articles by Winnipeg's residential & commercial roofing experts. Facebook fans 273. Twitter followers 16. About Blog Based in East Stroudsburg, Pennsylvania, Nauman Roofing has been serving both residential and commercial customers throughout the Pocono Region for more than 25 years. Find out what's new in roofing with our informative roofing blog. Nauman is keeping you up to date and your roof ready for all types of weather. Facebook fans 257. Twitter followers n/a. 6109 Remount Rd N.L.R AR 72118 About Blog At P.I. Roofing, it is important to us to bring you honest answers about your roof. We provide a written analysis with projected solutions so you know exactly what you'll be getting. Facebook fans 44. Twitter followers 428. 94. Integrity Homes & Construction Inc.
Lakeland, FL About Blog Discover articles on repairing roofs and rain gutters. Read the posts to learn more. Facebook fans 206. Twitter followers 13. About Blog Our roofers in Austin offer best commercial and residential roofing services in TX. Call our roofing company in Austin, TX. About Blog Kodiak Roofing & Waterproofing Co. is a full-service commercial roofing contractor serving many locations throughout the Western United States. Read the blog to learn everything you need to know about the roofing industry and more. Facebook fans 191. Twitter followers 51. About Blog Read the Celtic Roofing Company Blog for the latest updates in Colorado's roofing industry, from hail damaged roofs to custom roofing for new homes. Point Pleasant, NJ About Blog The blog is a one stop shop for all your commercial and residential roofing needs. Facebook fans n/a. Twitter followers 73. About Blog Stay up to date on all Tacoma Roofing & Waterproofing's news and projects on our blog. Ansonia, Connecticut About Blog ADN Roofing LLC is a full-service Connecticut Roofing Company based out of Ansonia, CT. Learn more about how to improve the value of your property and add protection to your home. Facebook fans 17. Twitter followers 6. About Blog AMAYA Roofing and Waterproofing was established in 2016 with an emphasis on providing our clients with excellent service, workmanship and the best products on the market today. Explore the blog to find articles on roofing systems, coating, waterproofing, repair and maintenance. About Blog Read the blog to catch up on important topics affecting residential and commercial roofs. Arry's Roofing Services provides residential and commercial roofing to the Tampa-St.Petersburg-Clearwater, FL area. Facebook fans 1,058. Twitter followers 1,577. U.S.A. About Blog North American Roofing has been a pioneer in the commercial single-ply roofing industry since 1979. It is the most trusted and respected commercial roofing company in the U.S.
Facebook fans 2,447. Twitter followers 833. US/Canada About Blog The Metal Roofing Alliance is a non-profit coalition designed to educate consumers about the many benefits of today's metal roofing options for homes. Visit the blog for more information. Facebook fans 8,251. Twitter followers 3,847. Columbus, OH About Blog Able Roof started out in 1986 with Steve Wey. Read the blog to find roofing information for residential and commercial purposes. Facebook fans 686. Twitter followers 572. About Blog AskARoofer.com website, is a place to learn some basics about your roof. Read the blog to find useful articles on residential roofing. Portland, OR About Blog The experts at Pacific West Roofing blog provides roofing maintenance tips, company news & Roofing products information to save you time and frustration. Facebook fans 494. Twitter followers 200. Banbury, England About Blog Blog about roofing advice and help from Roofing Megastore. Visit the blog to learn more. Facebook fans 215. Twitter followers 434. 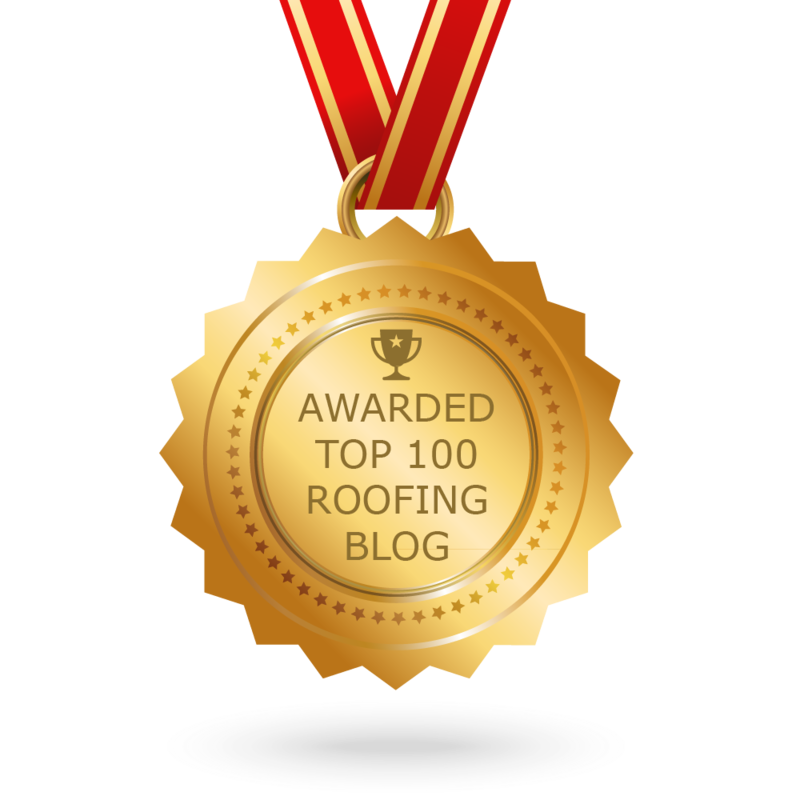 CONGRATULATIONS to every blogger that has made this Top Roofing Blogs list! This is the most comprehensive list of best Roofing blogs on the internet and I’m honoured to have you as part of this! I personally give you a high-five and want to thank you for your contribution to this world.